Yipeee!!! 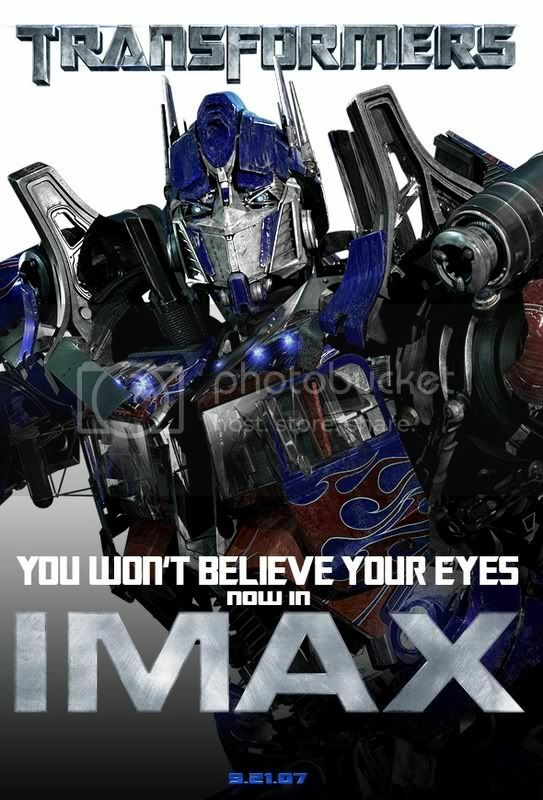 Transformers will also premiere in San Miguel Coca-cola IMAX in September 21st. Yehey! Panonoorin ko ito!!! Thanks to bleau72 for the great news. 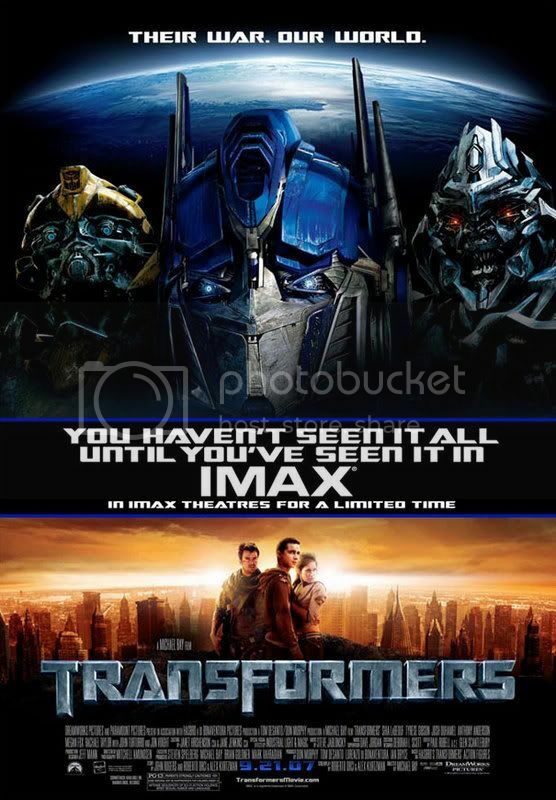 See the upcoming movies for IMAX here. You haven't seen it all until you've see it in IMAX.